Black immigrants are one of the fastest growing demographics in the United States. Nonetheless, this group remains a novelty in the broader immigration discourse. This report aims to elevate the conditions facing Black immigrants in the United States, drawing particular attention to their experience in the criminal law and immigration systems. 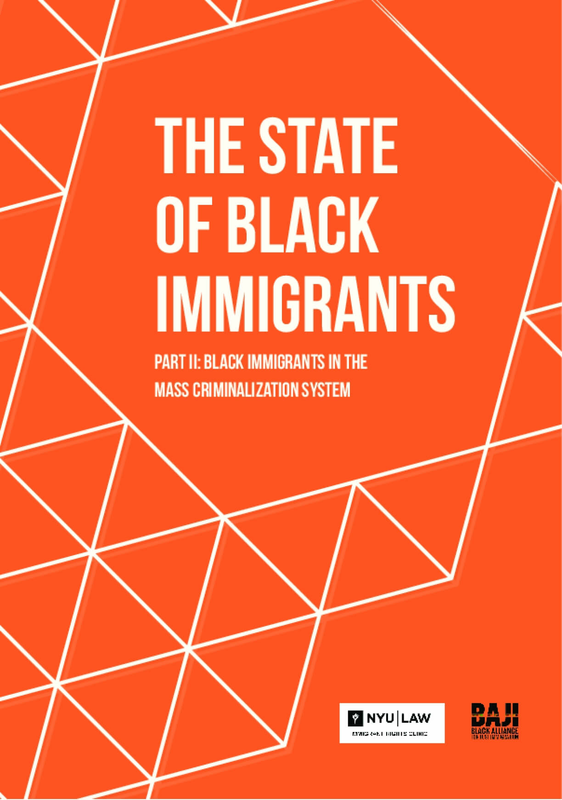 This report argues that like African-Americans, Black immigrants experience disparate, often negative, outcomes within various social and economic structures in the U.S., including the country's mass criminalization and immigration enforcement regimes. Copyright 2016 by Black Alliance for Just Immigration. All rights reserved.